The symbolism of the three degrees as a whole can be said to allude to the life of a man which is divided into three periods, Youth, Manhood, and Age. In other words, the Lodge is a symbol of the world and the ritual is the drama of life and man. Creation – the candidate being brought to light and his experience as an Entered Apprentice representing his birth and that period of his life during which he is subjected to control by others, and from which is derived the keyword of the First Degree, Obedience. Establishment – the constructive period during which education, the social life, and the various contacts of the environment unite to form and character of man. The Keyword of this Degree is Knowledge. Destruction and reconstruction – the elimination of the vices and passions which retard our spiritual growth, and our rising to higher and better ideals. The Keyword of this Degree is Regeneration. The object of the First Degree is to symbolize the struggle of the candidate groping in darkness for intellectual light. That of the Second Degree represents the same candidate laboring amid all the difficulties that encumber the young beginner in the attainment of learning and science. The Entered Apprentice is to emerge from darkness to light; the Fellowcraft is to come out of ignorance into knowledge. The Third Degree as a whole is a symbol of matured age, of wisdom, of experience. In the Second Degree, the duty was imposed upon us of rendering ourselves contributors to the happiness of mankind. We were taught by the aid of impressive symbols to discharge with propriety the duties that devolve upon us as men and Masons. The moral lessons of the Third Degree are many; the virtue of loyalty is the most obvious and perhaps least important symbolically. Others are: That Truth wins in the end; that evil does not flourish; the strength of heart is greater than strength of arm; that that which have fallen can be raised; that in his greatest extremity man has but One to whom he can turn, that beyond brotherhood the soul stands always, and must always stand alone before God, when no prayers save his own may avail; that he who would win true brotherhood must give proof of his fitness to be a brother. These and many more can be learned from this degree. Freemasonry being a progressive moral science, the Masonic life must of necessity be progressive, which means that a Mason strives toward perfection. 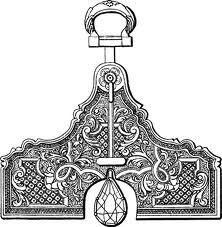 No man can understand and appreciate Freemasonry however, until he has pondered long and faithfully upon its teachings. Indeed, many fail to understand or get that broader vision which our obligations are intended to give. This is not the fault of Freemasonry, but is due to the fact that they failed to mix thought and action. Freemasonry looks for a man with a bigger soul, with a more universal spirit; it stops and stays only with him who sees man’s mission in the betterment of the human race, who can take by the hand the fellow who is down and out, and put him on his feet again and send him on his way a better man. That was the intention of our ancient Brethren when the idea of one great Fraternity was conceived in their minds, is very clearly brought out by Brother Louis Block in an address on the Ritual: “The Masonic forefathers claim to have come upon certain well defined and truly great fundamental principles, certain exalted ideals, and sound rules of conduct which put all together; seemed to them to form a most satisfactory and all embracing philosophy of life. They were obsessed with a deep conviction that they have discovered a system of life and conduct that sang in entire harmony with the dictates of reason and experience – one that while it should successfully resist the acid tests submitted by the most skeptical. At the same time furnished man with a working theory of life that was most comforting, encouraging, uplifting, and inspiring withal. They felt that they found certain great tenets, fruitful and constant application of which could not help but bring untold and lasting good to the human race. To them these principles seemed so broad and so deep, so rock-rooted in age-old human experience, so fraught with a power to prosper and to bless, that they felt it of vital important that they should be handed from generation to generation in all their pristine purity. To them the thought that these principles might suffer change, that this precious philosophy might become adulterated and contaminated by innovations, was wholly abhorrent. Therefore, they embodied and enshrined those principles and that philosophy in a great ritual, strictly forbidding under severest penalties, any change, alteration, or innovation whereby this precious legacy might be subjected to any possible infection by contamination.